Wendy received her J.D. from the University of Montana School of Law in 1984 and was a Prettyman Fellow at Georgetown University where she received her L.L.M. in Criminal Law in 1988. After completing a clerkship with the Honorable Gordon R. Bennett, she hung out her shingle in 1989. Her practice is limited to criminal defense in state and federal court at both the trial and appellate level with an emphasis on defending persons charged with driving under the influence of alcohol. 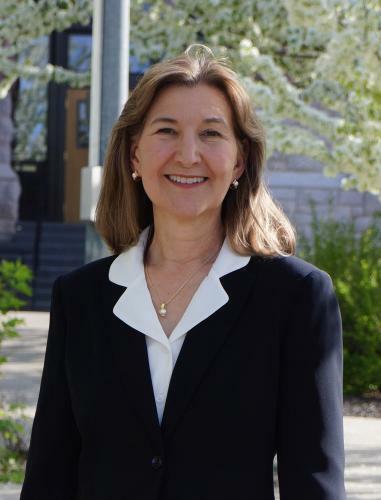 Wendy served as President of the Montana Association of Criminal Defense Lawyers from 2009-2011, and by appointment of the Montana Supreme Court, on the Montana Criminal Jury Instructions Commission (1988-2012), and the Montana Evidence Commission (2001-2012). Wendy served on the Montana Public Defender Commission from 2005-2008, the Conference Executive Committee of the Ninth Circuit Judicial Conference from 2006-2009, the Ninth Circuit Advisory Rules Committee from 2004-2007, was a lawyer representative to the Ninth Circuit Judicial Conference from 2003-2006, and was President of the Montana Chapter of the Federal Bar Association in 2004-2005. Wendy is AV rated, was selected for inclusion in Mountain States Super Lawyers in 2013 and 2014, and as one of the National Trial Lawyers top 100 Trial Lawyers in Montana since 2013. She was honored by the Montana Innocence Project with its 2013 Defender of Justice Award and by the Montana Justice Foundation as a Champion of Justice in 2014. Montana State University, 1975-79, B.S. Accounting - with highest honors. University of Montana School of Law, 1980-81, 1982-84, J.D. Law - with honors. Georgetown University Law Center, 1984-86, L.L.M. Advocacy (degree received in 1988). Law School: AmJur Award for Excellence in Labor Law. College: Outstanding Accounting Major 1978; Phi Kappa Phi; Advanced Honor Scholarship; President Tau Pi Phi (Business Honorary); Spurs (Service Honorary); School of Business Curriculum Development Committee. If it's not broke, don't fix it – Why splitting the Ninth Circuit would be bad for Montana, The Montana Lawyer, Volume 30, No. 9 (June/July 2005).